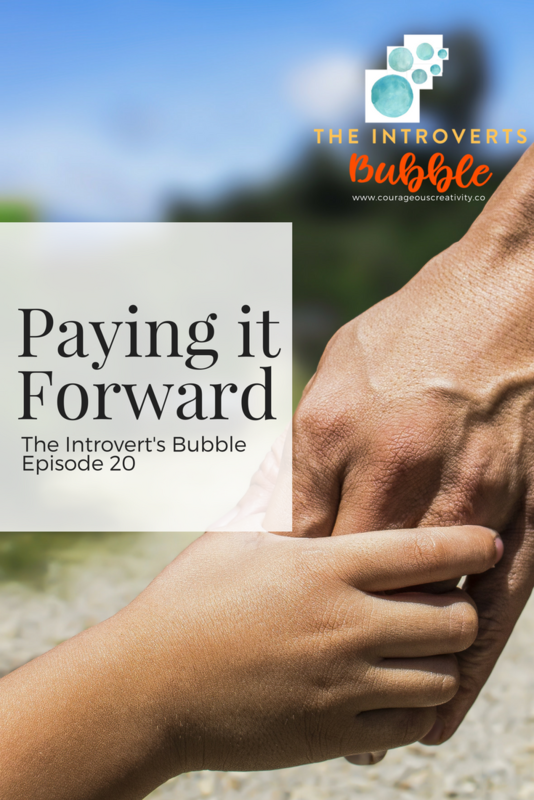 April 28th is Pay it Forward Day, and listening to this episode will be the perfect precursor to finding a cause that you are passionate about supporting. Remember, you do not always have to donate money to a cause (let’s face it, we’re not all Bill Gates)! Get creative! If your neighbor is elderly, you can take out the garbage out for them. You can do laundry for a friend who is sick, or shovel snow for someone who is unable to walk. Little gestures can go a long way! This was the hardest thing for me to do as an introvert, but now I try to make it a daily habit. Complimenting a stranger’s outfit, hair or something else about them can make their day (I know it does for me!). Seeing their smile will make you feel good about yourself, and then in turn, they will take that good energy and put it out into the world. Sometimes people are weary of giving money as donations outside of organizations because you never know what some people will spend it on (alcohol, drugs, etc.). This is why going the nutrition-route is the perfect choice. Holding a can drive, working in soup kitchen or making sandwiches for the homeless could very well save a life. Even if you cannot donate large sums of money to a charitable cause, you can still take part in a fundraiser to show your support, like a walk or a marathon. Take a look at what your friends are raising money for on social media and ask them to tell you more about it, or participate together. The other important thing to do is research. If you are going to be donating your time, money or creative energy to a cause, you want to make sure it is reputable. Go online, ask around or call them to see how their organization helps the foundation. Do they give the money to research? Equipment? Shelter? See what speaks to you and make your decision from there. We need more good things in the world. We need more dreams and builders. So, to celebrate Pay It Forward Day, go do something to help someone else. But don’t stop there! Make it a part of your everyday life. Remember: what you put out into the world will come back to you.